A jury at Birmingham Crown Court was told that Mr Hickman, 38, had been using anabolic steroids, which can cause increased aggression, on a "sustained" basis. The pathologist who carried out a post mortem on the body revealed Mr Hickman's major organs, including his heart, were enlarged pointing to the use of the drug. 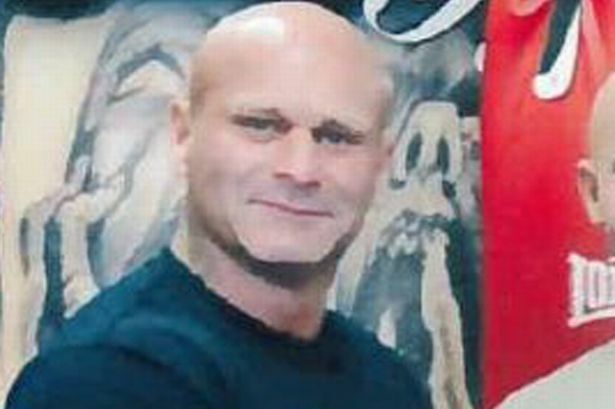 Thomas Powell, aged 49, of Rochester Road, Northfield denies killing the Dark Arts Gym boss during a fight at the Bristol Road South premises on July 9 last year. An old feud was said to have sparked the fight on a second storey walkway which led both falling onto concrete below. Mr Hickman broke his neck and died 12 days later in the Queen Elizabeth Hospital in Edgbaston. During police interviews Mr Powell told officers he thought Mr Hickman might have taken the drug because of how aggressive he was. In transcripts read in court it was revealed he told officers: "I'd never really seen him like that, he's always been affable. "He came bounding down (the stairs) and seemed really pumped up. I thought it must be steroids he was on." Powell, who claims he acted in self defence, said he wanted to talk to Mr Hickman after being banned from the gym. "I said "can't we sort this out?" and then felt a blow to my head, spurting of blood and other blows are following." He told officers it was during the scuffle both men fell from the railings of the walkway leading to the gym. Mr Hickman's former partner Wendy Grigg earlier told the trial her "gentle giant" boyfriend was committed to his training and proud of his achievements in body building tournaments. However it was only when toxicology reports were carried out on the Northfield dad that his use of steroids became known. The former boxer has denied deliberately pushing Mr Hickman over the rails and said:" I'm nearing 50 years of age and don't want to fight some muscle bound guy who trains fanatically." A second man, Mundeep Sahota, 22, of Kemberton Road, Weoley Castle, has pleaded not guilty to affray after allegedly kicking Mr Hickman and threatening his brother, Luke, with a knife.